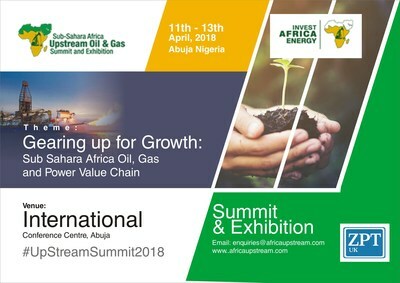 Digitalprwire, a key driver of the new engagement economy and a leading Social Communication Platform in Africa, has been named the official news wire partner of the Annual Sub-Sahara Oil &amp; Gas Summit &amp; Exhibition which is scheduled to hold in Abuja, Nigeria from 11th – 13th April 2018 with theme 'Gearing up for Growth: Sub Sahara Oil, Gas and Power Oil Chain'. The main objective of this summit therefore is to bring to fore those opportunities in Sub- Sahara oil and gas thus the theme 'Gearing up for Growth: Sub Sahara Oil, Gas and Power Oil Chain'. The summit is being organized by Zenith Professional Training (ZPT), a UK firm with several years' of building oil and gas capacity through industry specialized trainings in the oil and gas sector. Digitalprwire will provide news distribution and digital PR services for promotion of the Summit taking place on April 11 – 13, 2018 in Abuja. “We are thrilled to be able to partner with Digitalprwire to bring much needed media attention to Sub-Sahara Africa Oil and Gas Market via the Upstream Summit,” said Dapo Ayoola, Group C.E.O of ZPT. More than 80% of the 1,300 blocks in North Africa are licensed, while in sub-Saharan Africa it is estimated that only about 30% of 2,900 blocks are licensed. In the sub-Saharan regions it is evident that many new opportunities still exist, especially for the exploration and production (E&amp;P) companies that are willing to take risks.